The Nintendo Switch Online service has been chugging along at a steady pace since it officially launched in September last year. When it did arrive, a digital library of NES titles was made available as part of the subscription package, with more classics added to the service each month. Although Nintendo's focus is currently on NES titles in terms of retro offerings, according to a dataminer who has sifted through NES Online strings - apparently added in last month's Switch update, there's now evidence Super Nintendo games are planned for the service in the future. Below is the full list of titles, according to dataminer Kapu, who also goes by the Twitter handle @KapuccinoHeck. What do you make of this? Tell us below. I sure hope this is the case! I’m sure they’re coming sooner or later but I wouldn’t get too excited just yet. If we get more than NES games, the online price of admission might become interesting even for those who never play online. That would be a good move. Let's hope it will happen soon. I would definitely subscribe if this turned out to be true. .
Not getting my hopes up, best way to avoid disappointment. Great news. Certainly will make it more interesting. I think we will get Snes , GB/GBA, and N64. Releasing one classic console sub each year for the next three years with a ten dollar price increase for each library going all the way to 40 or 50 bucks a year. If it's N64 then I'm stoked. I've got my 3DS for SNES and NES games. Well, they promised SNES games before they removed any mention of it on their website so it's not a huge surprise. The list of games is looking good, though I guess it's missing Square support. One console closer to finally reaching a portable N64/GameCube library. @Late They did, but they also promised the service would start by autumn 2017. So you never know, right? Stunt Race and both Star Fox games would make it worth it to me alone. Fingers crossed this is actually gonna happen. I'm just happy Yoshi's Island is on there. lucky they werent planning on it being a surprise! I would love this to be true. I worry that it seems too generous (I bought a bucket load of Wii U SNES games for way more than the Nintendo Online subscription). Yeah that’s me. I get a lot of value out of the subscriptions on PlayStation and Xbox just from the game rentals with occasional Online play. If Nintendo offer more on that front I might buy in. They’ve got to make it feel like better value to people. That’s how I see it, yeah. Not sure about the rate of price increase but I reckon that’s their plan. If this is true I hope online doesn’t stay as friends only for Mario Kart and F Zero. PLEASE let one of those mysterious emulators be Gamecube! @USWITCH64 Well there's always that too I suppose. I'm hoping for N64 games on Switch so I don't have to deal with PAL versions. Will they announce this in the upcoming Direct??? We shall see, but let's hope so! Bring it on, Nintendo! B-R-I-N-G! I-T! O-N! Pretty sure we all saw this coming eventually. It would be funny that they included Kirby's Dream Land 3 here not being in the SNES Mini. A big omission. We'll see. Reggie said there weren't plans for anything beyond NES. It would be weird to hurt themselves with a statement like that if they were actually planning on giving people what they wanted. It all seems quite a logical approach to me, they have started at the bottom with NES games and the emulation seems absolutely spot on from what I've played, so no complaints there. They kept the price low enough to encourage people to take up the service and see what its all about. Then my guess is we get the SNES games around March time at the halfway through initial subs stage. Then the following September when renewals are due we might see a subs hike with another platform arriving, possibly N64. All the while building up a service and library that eill hopefully be able to continue on future systems for years to come. Geez, way to spoil 2021's September Direct. Heres hoping they bring GBA games with Pokemon ruby, sapphire and emerald. I'm gonna guess Hiyoko and Count are GB/GBC/GBA and N64. If VBA can emulate all the GameBoys, I'm sure Nintendo could do the same. That said, maybe I could make a better guess if I knew what Hiyoko means. As someone who only plays retro games through the mini consoles, Super Mario All Stars certainly peaks my interest. Seriously hope this is asign that they'll add in SNES games soon. Paying for the online service would finally actually be worth it. SNES games would be awesome, although I doubt that Nintendo would make all these games availabe (at once). SNES games have aged much better than NES games, and while NES games are mostly games that you play one time and then never again (at least from my experience), SNES games can still be played from beginning to end, so making them all available would be very generous from Nintendo. I saw this earlier and thought it seemed both credible and inevitable. I didn't notice Stunt Race FX is on the list but, that alone has me pretty excited about it. Probably be waiting 2 more years for them all. A really good selection. Most of these titles were very highly rated by the games mags back then. This list needs some Capcom love. Where are the Final Fight, Maga Man (X), and Street Fighter games? EDIT: Actually, come to think of it, those games are all already available for purchase in various Switch collections, so it makes sense that Capcom doesn't want to devalue them by offering them up here. Fingers crossed for a Virtual Boy dump. @BulbasaurusRex Demon's Crest, Super G 'n' G and Breath of Fire 2 are all Capcom. Id prefer a n64 Classic ... there are many omissions in Nintendo Online that id rather hack the thing and play with a n64 controller. Please Nintendo.... I will pay good money for one. I'm still terribly offended by Nintendo on the service and I don't see myself paying for it this gen. I can understand that not having retail games free with the price of the service, but having too pay more because I'm sharing the console with the family is terrible (doesn't happen with PS+), and require online connection for NES games when it's a portable device... this is just wrong. Also, they should release more NES games at once. Their current release numbers are ridiculous. Oh, and as a side note, having not online is just killing my interest on some Nintendo games that I didn't bought. Not Playing Arms & Splatoon2 that I own, not interested anymore on buying Mario Kart, Mario Tennis or Smash Bros. I'm using the Switch to play thousand of Indie games, and I'm happy with it, but I'm sure that for Nintendo having people losing interest in their games is not a good idea. I don't know if more people does like me, but I'm interested to know. I'll believe it when I see it but having recently had my snes mini hacked I already have easy access to all of those games and plenty more besides. I’d wager they will have a staggered system, base price will have NES and hopefully SNES. Then a premium for N64 and GC titles. Not sure where GBA would fit into that though! Hoping that the next direct mentions something about SNES games. NES games are nice, but the SNES is when games really got good. I would really like Starfox, and Starfox 2. But there are a lot of good SNES games to bring to their service, even if just sticking to first party. F-Zero, Earthbound, Super Metroid, Donkey Kong Country, etc. Yoshi's Island just in time for The crafed world release?. Now that would be cool, only downside is the new game will have to be amazing lol. I would love it if they brought some localised SNES JRPGs as there were some awesome games that never made it to our shores...I guess I can dream! Can't believe I'm excited for SNES games on Switch. But I am. Hopefully the price won't rise as result. @cowntsikin Oh, they will probably claim it to be some sort of victory lol. People will still find some way to complain. The only reason for me to want this to be legit is the prospect of official SNES Joy-Cons. @Rika_Yoshitake I'm sceptical too but it's good business commonsense to do it right ? Shouldn’t you wait until it’s officially announced and we know when and how much? A safe bet for sure. You’re not alone. I shifted all my Rocket League time onto the PS4 and of course once you’re using a system when you want to change games it’s easier to just continue with that system. My Switch Time has suffered a bit as a result of the poor Online Service. @tanasten Isn't the psplus service tied to a single account? Personally, I have less problems with Nintendo offering than ps plus, since I'm paying more for sony, but I'm using NSO more. Still, Nintendo should really speed up its classic game releases. One user has the subscription but any other accounts on the console can use the basic online features. The other two consoles, I predict, will be Game Boy (including Color) and Game Boy Advance. @Tsurii Holy cow! I hadn't even considered that! Would definitely use to play Arcade Archives etc! Blimey. @CuteDaltyn The idea that Virtual Console was some amazing service is complete rose tinted spectacles. We waited an age for games to become available and even when they launched a new platform it would start with only a small hand full. GBA games on 3DS were locked behind the ambassador program and Snes games on the platform required you to upgrade to the 'New' console. Add to that you had to re-buy every game you bought on the previous console whenever the Virtual Console was started a new on a new machine. 5 Nes games are approximately the same price as the online service. 2 Snes and 1 Nes would be equivalent. We all pretty much knew this was coming anyway didn't we? I mean we had the data mine last year that found the Snes joy con and so I figured it was pretty much assumed to be coming. My hope is that the reason we only have two games this month is because on Monday or Tuesday a Direct will be announced for Wednesday/Thursday and in that direct the first Snes game will become available straight away. I wonder if Nintendo is using their emulated collection as a way of testing the waters for a full subscription-based gaming platform. @Moon You dont have to. I'm in the UK and all my N64 games are NTSC. The SNES titles are a given really, I'm still of the opinion that it will just get quietly put live with little fanfare. Possibly a tweet. "Oh by the way SNES titles are now available as part of your Online subscription." I would LOVE Gameboy/Advance games on the TV and N64 on the go! @cowntsikin They'll never be happy. Once these start coming it'll be N64 and we could have everything Nintendo and they'd be asking for Dreamcast. I'm thinking maybe announced next week along with the release of the Nes games?? Hoping for SNES Unirally and Jurassic Park when it does arrive! You could call shenanigans but that’s hardly a dream list. No Squaresoft titles, for example. I’d put money down today if it’s true though. Hoping for Super Mario RPG. SNES is expected. It's just a matter when will they announce it. I expect Game Boy, GBC and GBA after. I want N64 and GC remasters rather than VC. @Medic_alert No matter what they do people will complain. It'll be the lack of some obscure game that maybe 20,000 people bought which is stuck in licensing hell which will cause an outcry. Never mind the big wad of classics at your disposal for less than 5p a day. "No Axelay? No deal Nintendo!" Okay, I get that Rare is now owned by Microsoft but that is no excuse for not including the Donkey Kong Country franchise! Minus the third installment, those are some amazing games that need to be included in the lineup if all this turns out to be true. Does anyone agree? @BensonUii I personally think N64 games haven't aged very well, they could definitely do with a fresh lick of paint. This is great. The sooner the better. Would be cool but I don't expect SNES until around September at the earliest. Just because one looks at things critically does not make one a hater. I love nintendo and my switch. But there are some glaring faults. Truthfully tech wise I love my Xbox one x but I don't enjoy any of its games nearly as much. I can be critical of that system too. Lots of people are on a exclusive games front. But xbox does all sorts of things right... 4k, backward compatability, xbox gold constantly on sale and gives free games monthly, a microphone jack on the controller, no lag, rumours of a all digital system where get this you trade in your physical games for digital versions(how many Wii u owners would die for that). It frustrates me that once you say anything critical then you are a hater. How about nintendo just do better. Less lag, online chat, backward compat for Wii u owners. If I was a hater I would not own every nintendo system, a donkey Kong arcade cabinet, a drawer of nintendo vans clothing, a wall with mario decal stickers decorating it. But apparently I'm over critical because I mention how it's annoying that I can't talk to my friends without an app, or message them, am wanting 1080p gaming, like to play without lag, tired of full price ports, and other than dr mario never play switch online. Still not good enough for me. I want to own those games like I own those Mega Drive ones through SEGA Ages. @cowntsikin No. Absolutely not. They could throw in GameCube games and I still wouldn't join. I'm with @Drommajin here. Virtual Console > NSO. No donkey kong games ?! that's pretty good for SNES Nintendo Switch Online lineup, if true. Nintendo's Switch Online service should have gone live with hundreds of Nintendo titles made available on day ONE. They are really missing an opportunity to become the Netflix of retro games. I would gladly pay double the price if they did that. The ROM's are already available. There is nothing stopping Nintendo from doing this but senile old Japanese suits working at Nintendo of Japan. If this is true, I'll finally have a legit reason to buy SN30's (apart from Puyo Puyo Tetris and NSMBUDX). @TheAwesomeBowser Personally, I prefer something all-in-one subscription-based (like Xbox Game Pass) over Virtual Console. Gives me an opportunity to check out games that I would've skipped otherwise. The reason NES Online only got 2 games this month is because one of this month's three was the Japanese-only Joy Mech Fight. Looking at the file linked, there are Japanese details blurbs for each game except All-Stars and Stunt Race FX, which just get the blurb "Temporary". Hiyoko means 'chick' as in a newly-hatched bird. Nintendo's codenames have been pretty random lately though, and the only thing that comes to mind is potentially 'count'ing 'chick'ens before they hach. Right now, I'm highly doubtful I'm going to renew my Switch Online subscription. This would change that if it's real. This is a good list of games and includes one previously exclusive to SNES Classic, far and above the mostly throwaway NES ones currently available. In my opinion, SNES games have aged far better than most NES ones, so a move into it's library would be a big step up. Though I will admit, January is getting a couple good ones. I own pretty much all of those on physical carts, need some wierd picks in there too! @TheAwesomeBowser I know your just kidding mate To be honest, I'm in arcade heaven on my Switch right now. And no signs of stopping! Love it! @Rafke I respect your opinion, but in my opinion Virtual Console is, along with indies, the bread and butter of every eShop. At this point, I might as well buy a Raspberry Pi. @GrailUK Okey doke. Whatever floats your boat. If the Wii U ports on Switch are any kind of clue, Nintendo will raise prices progressively as long as people are paying in a greedy way. Eventually, they will hit a wall and wonder what the heck happened. This sounds very exciting! Let's hope it turns out to be truth! First game I'd crack would be ALttP! Wii and Wii U have N64 games. I wonder if the next emulator (Hiyoko or Count) is the N64 one that Nintendo developed. It would mean N64 games on Switch and perhaps a N64 Classic which would be awesome. I really LOVE my SNES Classic (two controllers, good emulation, nice design, offline, plug and play...). This isn't surprising at all and is the logical next step for NSO. The real question is: when is this happening? This summer? Next year? 2022? @RampantCarnage I agree but the third is also very good. We all know they are coming. I just wonder when it will happen. They aren't even close to being through the NES collection, but I won't argue if they start this. No Earthbound though....c'mon man. Happy about Star Fox though. @BlueOcean: Hmm....Didn't know that. My family had a Wii, but we never went onto the shop channel and bought anything. At first I thought it was going to be just the same lineup as the SNES Classic Edition. I'm glad it's not, nice to see Breath of Fire II and Demon's Crest on there, both are stellar classics. @BlueOcean You got access to one N64 game and then they drip fed less than a game a month for next couple of years. @hatch I wondered whether they might just release a tiered service. I could imagine a situation where the more you pay the more games you can play from more systems. I'd pay for that and I'd genuinely love to see the outrage. @Rafke A Game Pass like solution would essentially mean both as there's nothing exclusive to Game Pass. You choose between subscribing and buying games individually which is the best outcome for all. If I had apparently uncovered a secret 'whatever' and I was listing some game titles, most of those listed would be on my list as well. Yes please, I'd like some SNES games on the switch. Wonder if they'll have terrible controller overlays that you can't turn off like NES? @CuteDaltyn It has massive faults as I listed. Some people will have paid the subscription price in just purchasing one game for each system they want it on. 3 Snes games on the 3DS will cost you $24 so you are already over the top of the price of a year's sub. In which time you could definitely finish them. Also the games are out there on 3DS if you really want them on a current machine. I mean I get that if you only want one or two then the subscription is not the best way to get them (disregarding any other benefit from the service) but access to loads of other games is definitely a compensating factor. The 30th Anniversary of GameBoy is this year. There's one of the emulators. The 2nd Anniversary of Switch is in March. We can expect something to happen then, hopefully. Nintendo just stopped production of the NES and SNES Classic consoles. Makes sense for them to stop production and sell through stock before releasing all of those Classic console games on Switch Online. Stunt Race FX!!!! Yes yes yes. Such fond memories. Super Mario All Stars, Stunt Race FX ? I’m in! @bluesun said: "Hiyoko means 'chick' as in a newly-hatched bird." Sounds like a name for the GameBoy emulator to me. Especially since 2019 is the 30th anniversary. Maybe all the complaining and backlash has motivated them to start preparing SNES games. I’ll just wait and not care until they arrive. I have other systems with those games. Whenever I play my Switch, I focus on what I’ve bought or been given... newer games. One of my all-time favorite NES, and I mean top 5, comes in a few days. Zelda 2. I just wish Kirby’s Adventure and Super Mario Bros. 2 would join it. I’ll finally give the Famicom version a go. This is the kind of news that gets me full chub. I don't believe these are coming anytime soon, even if this is a real leak. That being said: I'd love to play Link to the Past, F-Zero, and Super Mario World on my Switch. I just feel like the soonest any of these will come is September 2019. Interesting how the Switch Online service features most, but not all, of the games on the NES and SNES Classic mini consoles (assuming this leak is true). Super Mario World is a must have. now they need to add super mario RPG to the list along side a few others. as for N64 and GameCube games; Nintendo may be better off with re-releasing a few of them. i hate how some of the retail games come with a download codes. the Mega Man Legacy Collections for example. Still not good enough. I've already had my fill of SNES games. I'm waiting on N64, GBA, and GC games. I wish news sources wouldn’t post these kinds of rumours. I like being totally surprised by a Nintendo Direct. These data miners really need to stop. They are doing this just for the attention, so they could get a few days of e-fame. Ruins any kind of surprise that future announcements can give. Hope the Nintendo ninjas get them. @Moroboshi876 That is nothing new for Nintendo. They will deny a true rumor until THEY are ready to announce it. I want to be able to download and own these older titles on my Switch; having a rental service is asinine as it is ridiculous. Just open a complete virtual console and be done with it, Nintendo. @Hordak Nintendo just stopped production of the NES and SNES Classic consoles. Makes sense for them to stop production and sell through stock before releasing all of those Classic console games on Switch Online. Then they shouldn't have released NES games on the Switch. It's not about the classic systems, it's about releasing the inferior (NES) games before the superior (SNES) games. @Wolfgabe the only reason I can think of why they didn't release SNES games sooner was to avoid clashing with their SNES Classic sales. Then why weren't they concerned about clashing with their NES Classic sales? but I'd expect some price increases, as $20 a year is way too cheap (not that I'd complain if it didn't). You could spend more than $20 buying a few of these games on the VC. @JamesR it’s ok I spent a boat load on the actual cartridges back in the 80s and 90s on the systems. Getting access to all these games for mere pennies is like a dream come true. I just laugh when people scoff at the 20$ subscription, I spent more than that on a single game. I guess everyone expects things should be free now days. @th3r3ds0x I guess everyone expects things should be free now days. Nobody expects things to be free but people already bought many VC games on the past 3 systems so if they want the games they already paid for to cross over, there's nothing wrong with that. Further, when people scoff at the $20 a year because they don't have any interest in NES games they aren't wanting them for free, they simply aren't wanting them at all. As much as this is good news... I still hate dataminers for this stuff. im starting to get pissed off with these dataminers ruining surprises. @Nintendo_Thumb True, but we are simply renting these games not owning them so essentially GameCube access is possible. Also, they will get money from releasing wireless classic controllers like the NES pads. I would surely buy a WaveBird again (that doesn't need batteries and can charge on it's own). Now we can play with POWER......SUPER POWER! @maruse well and that's what key here. How soon are these games even coming? Nintendo tends to work at a snail's pace in this regard. It's definitely coming, it's only a matter of when, and it's likely for year 2 to entice new subscribers. As much as I would love for this to be true, my inner skeptic seriously doubts that Nintendo is going to give away large amounts of NES AND SNES games for $20 a year. They’re either going to have to jack up the subscription fee, which would enrage people (not me), or this isn’t going to happen. Nintendo is not that generous. The 1 reason that will make me buy a subscription. They just need to keep adding to it. The virtual console on the Wii and wii u were good but there wasn't anywhere near as many games on there as there should have been, especially on the N64 front. Each time I start the Wii on the WiiU and I go to the Wii Store, I wanna kill everyone at Nintendo. This was available and ready to be enjoyed by anyone. I was only 100 misserable points to get Wonderboy 4. I then it's there but I cannot get those 100 points to get Wonderboy 4. Nintendo should have just pushed out VC on Switch y bringing the whole Wii emulation on it. I own a SNES Classic, but I'd still be excited for this, since I'd be able to play these games online with friends and family across the country. My bet is that those two other emulators are Gameboy and N64. @RampantCarnage dkc2 is my favorite followed by the first then the third, but I still really like the third. It's different for sure but I still love it. If you have Wii U, you can get them each on VC before it closes end of month. Let's hope we see these games on the service within a reasonable timeframe so it leaves room for lesser released titles to get a release in the near future as well. SNES games on switch online would make me sign up in an instant. The lineup is great! 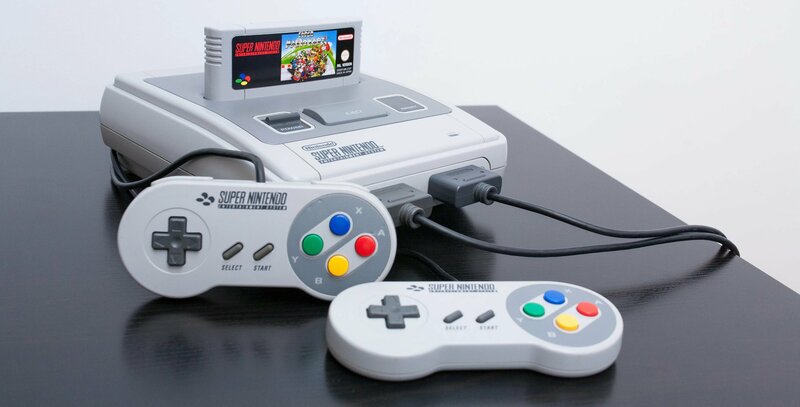 all though Super Mario All Stars and Pilot wings should have been on the SNES mini classic, come on Nintendo make this happen please! @RadioHedgeFund Nintendo acknowledging Stunt Race FX' existence? I feel like they care about that game as much as they do translating Mother 3. And Super Mario All-Stars? That seems kind of suspect to. I do remember someone once data-mined the Wii VC to find then-upcoming games, and I recall the list had some like Super Bomberman 3 which never were released. I'm real glad to see Star Fox and Star Fox 2 released. Frustrated with IV drip of releases, though. My guess is that the two extra emulators are Game Boy and N64. Maybe even GameBoy and GBA. Given how they remade OoT and MM, SF64 and SM64 for the DS and 3DS, they might not want to do N64 releases on NSO right away. Which is a shame, I'd love me some classic N64 goodness, but I suspect we're more likely to see only more simple games on NSO for the time being. Still on the fence about buying a Switch, and we have every Nintendo console since the SNES (some multiple times). The way they're handling online and basically turning retro games into a rental service, I'm starting to lean toward a pass on this generation. I'm under no illusion that a company is in business other than to make money, but to so willfully and cynically milk their extremely loyal fans time after time is becoming pretty off-putting. Please! Mortal kombat, killer instinct, streetfighter! Wish dataminers were sued for looking into these things. Just let us be surprised and stop spoiling everything! @gloom reason why dataminers should be banned from the internet for life. @Medic_alert I was going to answer you but @CuteDaltyn did before me and probably better. Your argument is absolutely ridiculous. The Switch only has NES games and even if they aren't many N64 games on Wii U the concept is brilliant, the drought never is. You made a useless comparison and pretended that a good idea is bad just because no more titles were released. A subscription as an option (like Xbox Game Pass) is positive but if Nintendo Online becomes the only way to play retro Nintendo games the outrage will be justified and you would love seeing people's disappointment as stated on comment #118, instead of trying to understand that more options would be good for people other than you. I don't want to play every single retro game, I want to buy my favourite games and probably some that I've never played and play them for as long as I want. SNES Classic and Wii/3DS/Wii U allow that. A subscription to temporarily play only NES games like Switch (released in 2017)? Great, I don't complain as long as it's not the only option. Still people wonder why Nintendo games are pirated while basically agreeing with and promoting Nintendo's disdain. @BanjoPickles the thing about that is that it costs them pretty much nothing. Every sub is just pure profit that's why all the companies do it now. The margins are fantastic! Giving away SNES games with pretty much no licensing issues means lots more cash! Every now and then i still collect original cartridges for my Analogue Super NT. Playing off TV in Switch would also be cool, but a propper Dpad JoyCon would be necessary! @BlueOcean no you miss the point mate. All these rose tinted views of what Virtual Console has been are just ridiculous. It's like people are re-writing history. I never once said it was a bad idea. It has always been a bad implementation though every step of the way. Gotta love buying all those same games again and again! I understand perfectly. People don't understand that there is no such thing as ownership in video games. You can buy physical or digital but it makes no difference, you don't own it. It's unlikely but Nintendo could revoke your license any time they chose. And yeah I do love it. You guys getting angry over this stuff should see what it's like to have real problems. @nintendal What licensing issues? Please take your time reading my comment. I swore that I wrote Nintendo games, as in made by Nintendo which means outside of Rare develop games, there would be no " licensing issues ". Why are so many people asking for a price increase if SNES games are added? Even if Nintendo gives us SNES,GB/GBA and N64 games people would still complain. When I say people I mean the internet forum/YouTube minorities. @Medic_alert Whenever I talk about the Virtual Console I always say that it should be cross-buy. Wii U almost did it so Nintendo agreed with my opinion to some extent, you get 80% off on games you have bought on Wii. I criticised Nintendo when 3DS games that you already own didn't offer any discount. I think that the Switch ports should be free if you own the game digitally on Wii U because the extra content is normally just an easy mode. Some people don't understand why would a company do that but it works well on Xbox (some games are even remastered for free like Final Fantasy XIII). Sure, Twilight Princess HD was full-priced on Wii U because it was a remake (more than The Wind Waker HD) and there wasn't a digital version of the games until then but Wii U ports on Switch aren't remakes, not even remasters and Nintendo knows if we have bought them before digitally. In the long term it would give Nintendo a better reputation. Instead of that they released two consoles in the same generation and charge exactly the same price (or more) for the same games to everyone. In my opinion they are getting extremely greedy and I'm not sure for how long this is going to work for them. When I say free I mean the digital version. Not really free, you have already paid. Of course, physical games imply unavoidable costs but the price is too high when they are merely ports, other companies release physical ports or even remakes that are cheaper or bundled together (Crash, Spyro...) but Nintendo now tries to charge as much as possible for every single thing. @Crono1973 I don't think it's asking for but rather expecting it will. @BlueOcean none of which I disagree with. If virtual console was to come back yes they need to employ cross buy, yes they need to work with bringing themselves in line with the great work MS has done in terms of backwards compatibility. Nintendo for good or bad milk their franchises gen after gen and now and they really should be offering an incentive to buy again. I'd have bought many more of the switch ports if they'd have come in at similar prices to remasters on PS4. I disagree with a lot of you. Paying money to own and download the games and play them anytime you want regardless of whether or not you have a sub is the way to go. You but it you own it. What they should really implement is a system to carry over classic game purchases from one gen to another much like Sonys crossbuy. One simple solution would be to implement a onetime fee of redownloading your classic content to a new system (though personally I'd rather it be free, logic being if I own a nes game and buy a new nes or retron or the like I didn't have to rebuy the game just because I bought a new system.) I get some people like to rent rather than own (why I don't know) but id rather have a curated collection of only games I want to play rather than someone else saying this is what we slow you to play. I wish they'd give up Pokemon Red, blue and Yellow. I know that's GBA, but it would just be nice to have them on Switch rather than having to play it on 3DS. You never really own something that's digital,and considering Nintendo's digital account systems are a little backward to say the least,I would have thought this new system was a breath of fresh air to most long standing Nintendo fans. That list of games looks good, a little too good. I only see one game on there that I am not as interested in playing. The others I either wanted to play and didn't, or did play and would be happy to play again. If this is true I will never be caught up in my gaming. They should have had nes, SNES and n64 from the start and have been releasing 3 games for each system per month (ie 9 new games each month). I wonder if Kirby Super Star will be named Kirby Fan Pak in Europe. @Medic_alert With that I do agree. I love the free backwards compatibility on Xbox because you don't have to pay twice and on top of that many games get X enhancements, every third party supports it and so many games are available. Nintendo is a company with an incredible legacy so they should be willing to make as many games available as possible. A subscription as an option is fine but many people prefer paying for the games they want and not being online and subscribed. Virtual Console or just a "re-release", it doesn't matter how they call it as long as you can own Super Mario World on Switch. I am fine with this flood of Wii U ports on Switch but I won't be paying twice for the same games as if I never had them before. Sometimes they aren't even better than what I already have. I remember when I bought Mario Kart 8 Nintendo gave me a digital copy of The Wind Waker HD (you could choose a game) and when I got my Virtual Console games for little money because I had bought them before. That wasn't so long ago. @johnvboy I don't agree. If I have a digital copy of Super Mario World on Wii, Wii U and 3DS I own those games forever. A time might come when I won't be able to redownload them but I can make copies to a USB flash memory if I want to (on Wii U, and you don't even need to soft-mod it, just go to Settings). So unless you lose access to your digital game (technical failure) you can play it like a physical copy (that could also break). However, subscribing is renting. Pay the fee and you can play, stop paying and stop playing. Exactly my point. With the switch you can't even back up your own files unless you pay Nintendo unlike in the past and other systems like Sony and Microsoft! @GameOtaku Right! Nintendo don't allow now things that Microsoft, Sony and even they allowed (on Wii/Wii U)! SNES games are definitely coming. Even without Rumours or Datamining. It has always been on the cards. And the price will remain at £18 for the year. And the majority of people on Nintendo sites will still complain.... forever. As usual I pay £18 a year to play Switch Games I own online. The rest they give us is to me, a bonus. I already own NES and SNES minis. And have VC still on my Wii U. I have no need to rebuy games to 'own' them again. I still expect the N64 mini to turn up at least a year before it hits the Switch Online Service too. @dazzleshell You have the best outlook mate. @Late There might be a reason for that, and it could mean a Final Fantasy Classics Collection could be on the rise, unless they're saving the Final Fantasy Advance Collection for the Switch Online apps. And it might give us a good clue of what Classic Editions we might expect: a GB Classic Edition that would be slightly larger than normal, or an N64 Classic Edition. Otherwise, we'd be getting GB/GBC and GBA for emulated systems, and that would mean MegaMan Battle Network could come as one of the featured titles, unless Capcom announces an MMBN Legacy Collection 1 & 2 that promises hours of, if not, MONTHS of Action RPG Goodness. @AndyRogan DOes the phrase "Super Mario Bros.: The Lost Levels" hold any meaning to you? I remember the World 9 Challenge Nintendo Power held. @Kainbrightside you were doing great till you said a price increase. @Late I don't remembering them promising snes I recall them saying they were looking into the possibility of also releasing snes later on as well as nes. Good, no more boring NES games. All of the people thinking that there could ever be GCN or Wii games emulated on the Switch amuse me. First, the Switch isn't powerful enough for that. Second, games that recent would just get remakes. Third, it's pretty clear that the emulators are N64 and GB(A). @Grumblevolcano Expecting it just makes you a pushover if Nintendo decides to raise the price. Expect that the price will not change and complain if Nintendo tries it. In other words, don't make the more expensive option the reality. @Tupin you might want to look at what Nintendo has running on an Nvidia shield with pretty much the same tech in China. Also factor in that the 3DS is getting GameCube, Wii and even has a Wii U port. This is all awesome news! Broken online and NES games aren't enough to get me to subscribe to the online service. If they actually bring SNES games and more, I'd strongly consider it. @nintendal Yup but they won't because it makes too much sense. Things would be so much better if Nintendo Of America and Europe were capable of operating independently from the Nintendo Of Japan. @Nintendofan83 That is all we want. People are willing to re-buy them. That says a lot about Nintendo and their games. So let us just buy them. If true this would be a good update for the application. Where is Contra for NES? Without a doubt 1 million percent this is happening it’s just a question of when. To be honest what I’m shocked about is the fact that gta 5 has not been bought over to the switch yet!? Note "count" is usually the last entry for an enum in code....so chances are that's not a 4th platform. @Medic_alert The Wii U version of the Virtual Console offers a massive discount on Virtual Console games you already bought on the Wii, and the price you do pay is worth it for the added restore point and sleep mode features. The Switch could've done the same thing (massive discount if already owned on Wii, free if already owned on 3DS or Wii U) by cross-referencing your Nintendo Account if they had kept the Virtual Console going. Meanwhile, smart people like me just didn't bother to rebuy VC games on the 3DS that they already bought on the Wii / Wii U. Please please, awesome list of games!!!!!! @Medic_alert Wii games sometimes struggle with emulation even on modern gaming rigs. The games people want most from the GCN are more likely to get remakes. Sure, the Switch could theoretically run them I guess. I'll admit, not as silly as people believing a GCN Classic would be a thing, that would cost like $200. Has Donkey Kong Country 2 been erased from history? I love playing NES games on my Switch, but I really hope this is happening soon. SNES has such a killer library. This is nice and all, but I really would like the 7 day offline limit extended to the year I paid for. @Tupin What games? Aside from The Last Story, there is literally no game that struggles on modern PCs, you must be using an old version. @Wolfgabe So, they are both still available. @Abes3 Sure, it's good for us. I'm just not sold they're actually going to do it this early. @Kainbrightside if its $50 then they have to compete with Sony and Microsoft's services. I don't think people will pay $50 to rent 20 year old games. Nintendo already sold me SNES games with controllers last year. And its mine forever. N64 games? Eh. Unless it has Goldeneye and Perfect Dark, I'm not really interested. Those are the only 2 64 games I play regularly. Everything else has been rereleased too. @Tupin you are talking about open source emulation which needs to be designed to be very broad to cover many hardware types and the makers don't have the information and background Nintendo does to make this work. It clearly does as I said because they have twilight princess and Mario galaxy running on a tegra X1 shield in China and they run at higher resolutions. Equating what Nintendo can do with their own hardware and source code to what the emulation community can manage is false equivalence. @edgedino Here's a screenshot of Nintendo's website after they first revealed paid online. Back then it also mentioned SNES. @Late ah ok well the only flaw now is that its technically not a promise but they are more then likely gunna do it anyways, which is fine so long as they do not increase the price. @Medic_alert I noticed it more after the Ocerina of Time 3DS release where I was like "this looks just like how I remember! I'll play it on the 64"
"AAAHHHHH MY EYES, WHY DOES IT FEEL LIKE I NEED TO WEAR GLASSES WHEN I DONT WESR GLASSES"
SNES should have been included from the start, hopefully the next Direct reveals SNES is coming. I'm sure this has been mentioned; already; but I'd say adding SNES will jack the price. Would love to be wrong tho! @TheAwesomeBowser well, this is now the virtual console. @cowntsikin Eww, no thanks. I'll just get a Raspberry Pi. Every NES and SNES game that was on the NES and SNES classic will be on there. Nothing special. @nintendal Agreed. However, there is ZERO reason for them to slowly trickle ROM's of games that are several decades old. Especially since they are readily available on the internet for FREE. So much money to be made and at times I feel like they are allergic to money. If I owned even a single share in their company, I would be yelling and screaming at every opportunity. There is no reason that Nintendo's stock shouldn't be in the triple digits other than Nintendo of Japan's unwillingness to get with the times. @neufel NES games did nothing for me, i felt they were too far back in some cases. But if they added SNES i would jump onboard so quick Switch online would be an easy buy for me. I feel SNES is the sweet spot. Still classic but not dated enough that it feels too old for current players. As long as the NES app sits suspiciously left justified in the Nintendo Switch Online section of the eShop, I felt that it would only be a matter of time before SNES came anyway. Here's what I make of this datamined info — I think it's a foregone conclusion that Nintendo WOULD or WILL do other system apps, but the real question is will Nintendo partake from a business side? Nintendo has hidden things in things before that at times they enable, and other times they pass on. So in conclusion, I predict we MAY get SNES by late this year, but I wouldn't bet the farm, nor would I get too excited with this decidedly rediculous trickle of NES games they've already established. Even if this is true, and I hope it is, it’s still very restrictive. Compare it to the options you get on Xbox-Games with Gold gives you a selection of game rentals each month and you can keep the 360 games. Then there’s Game Pass for extra. But you still get the option to buy all these games. I can understand Nintendo wanting to leverage their Retro games (they don’t have tons of third parties looking to use the rental services to maximise DLC and MTX sales) to make their half baked Online service look more attractive but do it properly. Very cool. Never played Poppin Twinbee. Demon's Crest or Pilot Wings. I never liked KDL3, it was slow and boring. @Trajan I think it's fair to draw comparisons between what they might do and Xbox games with gold but if they plan on adding online elements to their old catalogue it makes sense theyd charge more in a tiered sort of way. I'd gladly pay 40 or 50 a year for access to 4 generations of great Nintendo games. It's inevitable they add SNES at some point.....but there's no reason to believe they're doing it soon. They could....but why would they? At least they'll wait until SNES Mini has really sold out. They're not making more in 2019 but they want to liquidate that inventory first, I'm sure. 9 - Super Smash Bros.
Demon's Crest is the only one of great interest, as I don't own it on anything. Of course, I wouldn't own it on Switch either! I'd be more inclined to buy it on the 3DS eshop than "rent it" on Switch. I have a sense with the recent rush of nostalgia systems and the previous Virtual Console, people realise nostalgia is satiated with a few minutes of game time so the retro service of Nintendo Online isn't much of a lure for subscriptions. So it's really only online playing and the backup service, and since I don't play much online and we should be able to do a manual backup, they won't get my money until there's more to offer or there's a serious price drop. Personally there should be a basic $5 annual service that does the backups and gives you 100 hours online gaming. Surly people would be more excited over the service if an online Super Mario Kart was offered? @TheAwesomeBowser stop whining, then. I'm cool with paying for the games I play. I just recently finished SMB3 again on NSO and it feels great. Really hoping this turns out to be true. This service has been a real mess so far and some snes games would really help to justify it. Sees article title: "Yes finally! They're adding other consoles to Switch Online!" Super Mario All-Stars?? Heck yeah! !